Just a few more reasons to get your name on the wait list. 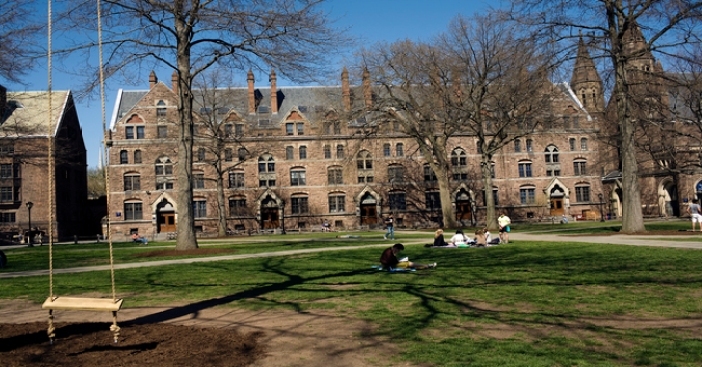 A certain Ivy League school nestled in the heart of New Haven has brought in a lively variety of shopping and dining to the city, offering finds that most definitely should appear on the Dean's List! BUY AMERICAN: The go-to for Yale hipsters and prepsters alike, American Apparel has been alive and kickin' in New Haven on Broadway since June and has a whole new line of summer staples and novelties to spruce up your wardrobe for a small price. Check out their new chambray jumpsuit and fringed back mini dress to shake up your wardrobe. IMPORTANT IMPORTS: Miya's Sushi on Howe Street, just a hop, skip, and a jump away from the New Haven American Apparel, is offering a late night menu from 10-11 p.m. on Thursday, and 10:30 to midnight on Friday and Saturday, featuring $4.75 platters of Bun Lai's innovative sushi and 1/3 off all pitchers - nestled across from another domestic delight, Mamoun's, which will be sans students for the summer, so grab a cramped table and tahini doused falafel pocket while you still can. CRAVING CANDY: Stylish kids with a sweet tooth can rejoice at Wish List! With locations in New Haven, Westport and Greenwich, this trendy mecca serves up Ella Moss, So Low, and Free People along with a bulk selection of your sugary favorites. Check out the store in-person or online for Summer selects up to 75% off and bargain bins for $5.